Since today's earlier announcement, more details have emerged on the order. VBZ is ordering 21 Swisstrolleys for 30 million Franks. They will enter service from 2013. The order includes an option for 40 further trolleybuses by 2016. 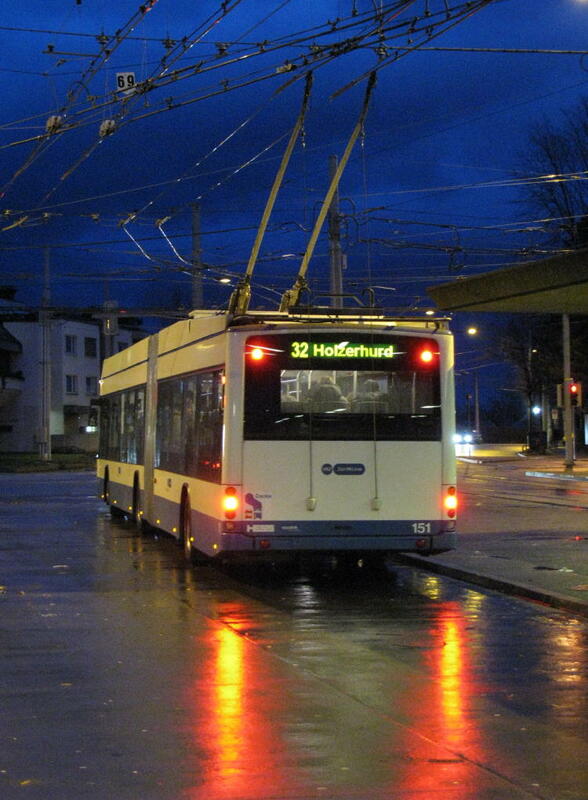 With 12 double-articulated units also on order, and a total of 43 trolleybuses due for replacement, the option allows VBZ to retain a high degree of flexibility in view of either possible growth or shrinking of the trolleybus system, which of course is partly dependent on projected new tram lines, but also political support for trolleybus expansion. While on the topic of Swisstrolleys, the first of Schaffhausen's units has arrived.